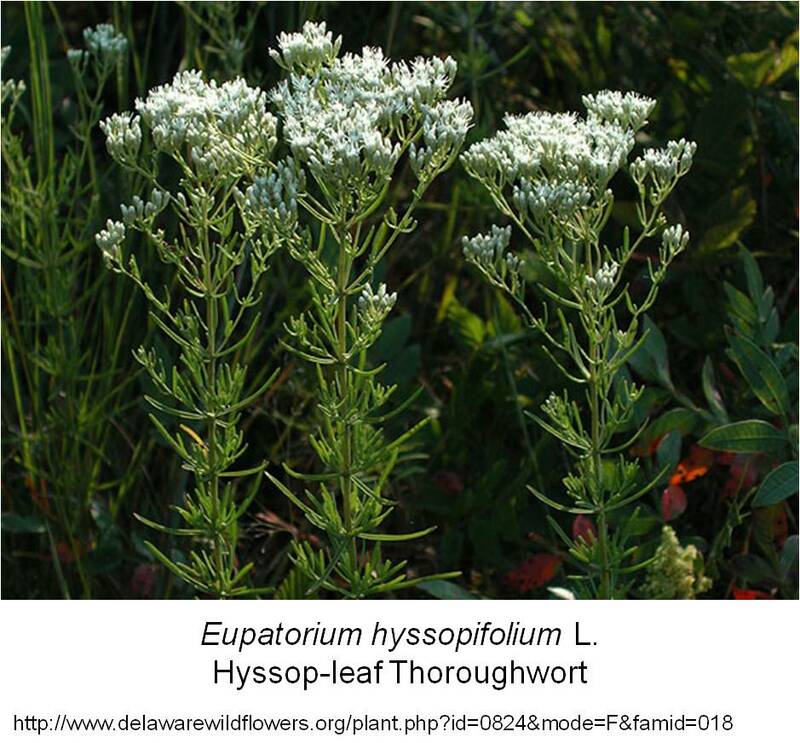 Eupatorium hyssopifolium, Linné, and Eupatorium leucolepsis, Torrey and Gray, both called “Justice’s weed,” have been used with success for curing the bites of snakes and poisonous animals. 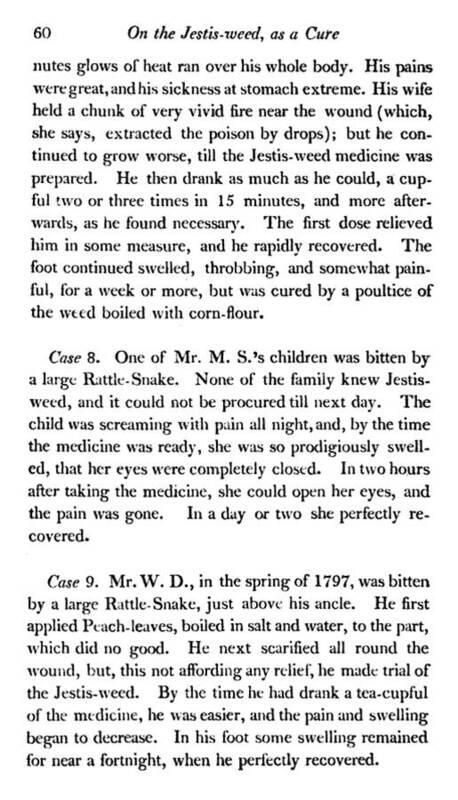 They were employed for this purpose by John Justice, of South Carolina, in 1800, who received a premium for disclosing his remedy. The former grows in dry situations from Massachusetts west and south; the second in the sands from Long Island south. 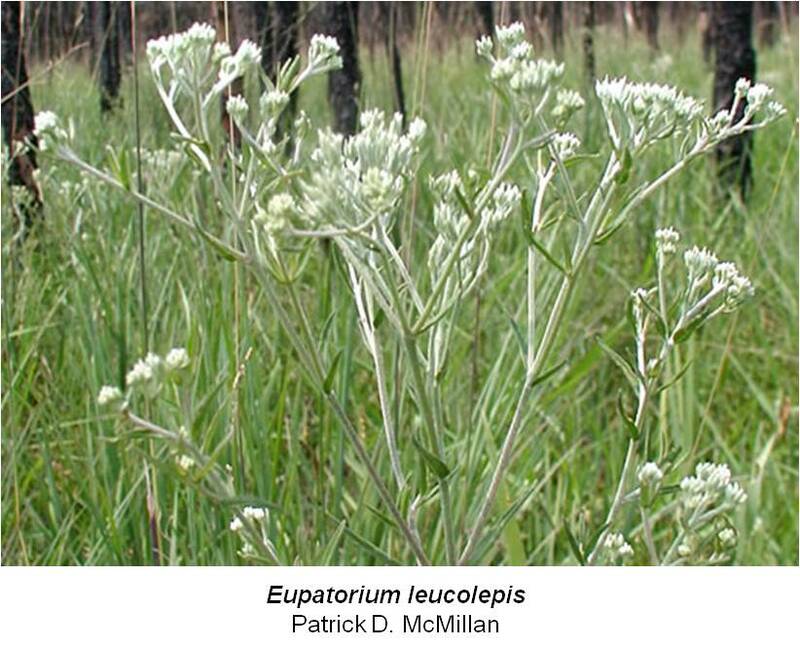 Interest in this herbal medicine grew as knowledge of other local plants became known between 1787 and 1800. 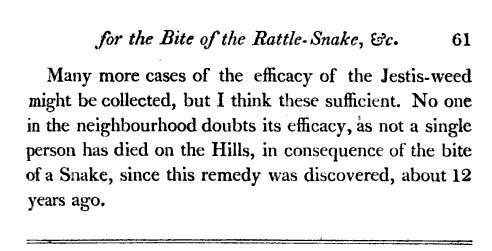 The Medical Repository played an important role in the cultivation of local herbal knowledge beginning with its first publication in 1797. 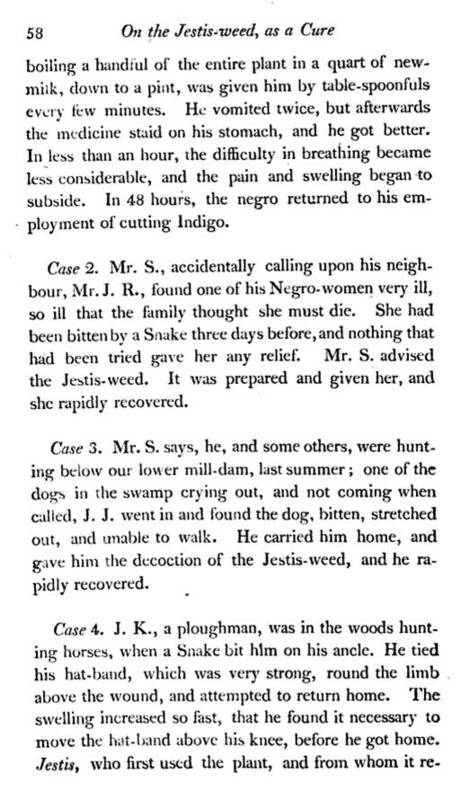 The article on this plant posted below is by a Mr. Haynseworth and is briefly described in the following 1831 note in a journal. 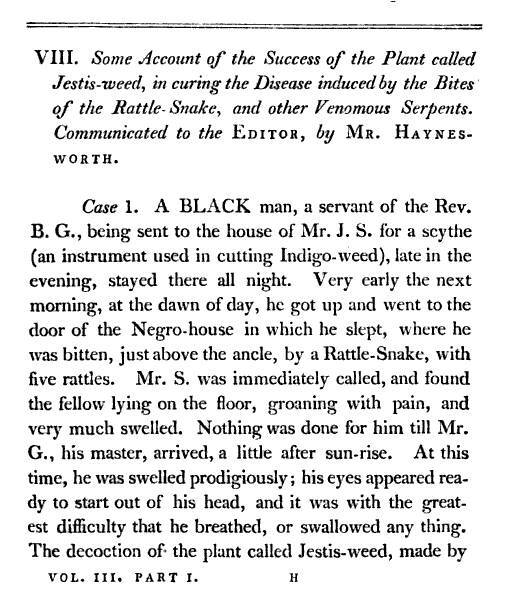 According to the Medical Repository article the source for the name of this plant is a slave named Jestis. 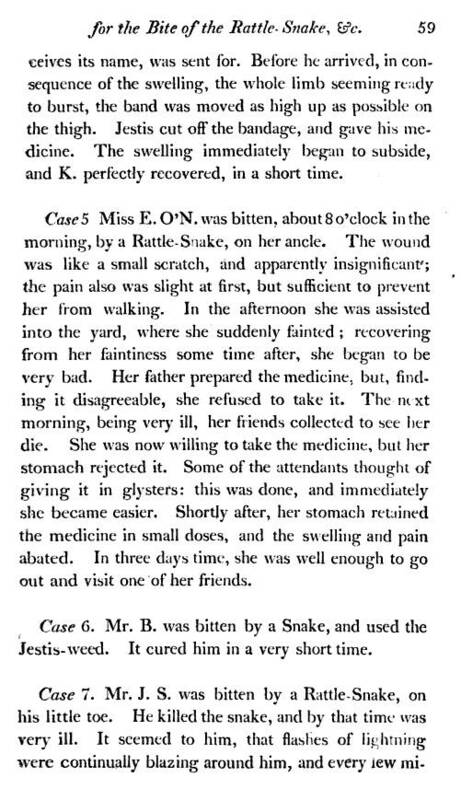 Source: Notices and Communications section, letter dated October 31, 1831, p 384 of Benjamin Silliman’s The American Journal of Science and Arts. King’s American Dispensatory related the common name to “John Justice.” New York had a variety of its own that developed and was categorized in later years. 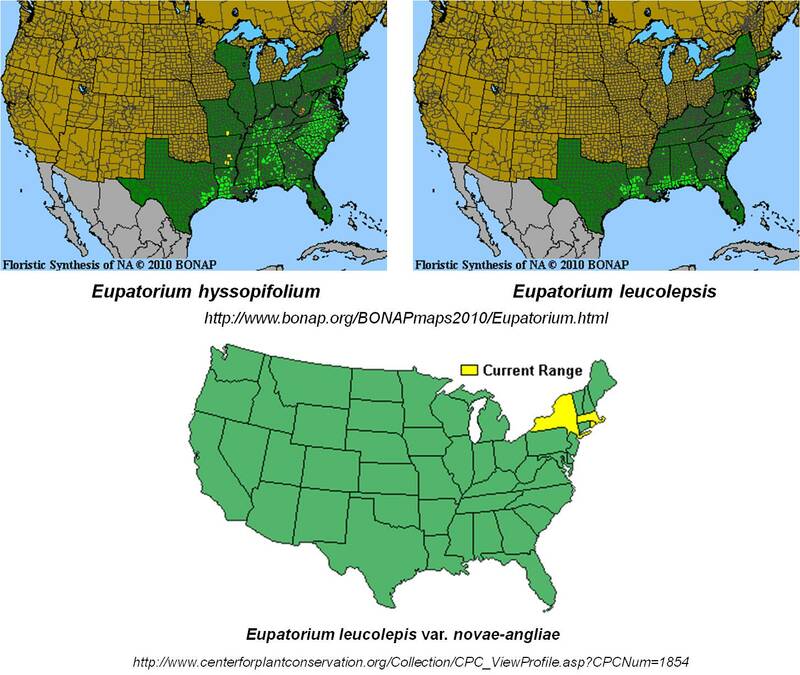 By the end of the 19th century, there were species identified in the Carolinas and Massachusetts, as noted by King’s Dispensatory.